Orginally built for competition, the R170 went beyond it’s initial purpose and is now sought after by all seasoned skiers looking for an ultra-light binding without being superfluous. Whether a competitor, steep skier, or someone on a quest for lightening your ski tours, the R170 will suit all your terrain. Having proved itself over 10 years, the versatility for this product has no limits for those wishing to go light while still offering a fixed safety release. The additional advantage of the R170 lies in the heel piece that is mounted on a 20mm plate giving the possibility to adjust to your different boots (up to about 3 sizes). It also has the ability to pivot allowing you to be flat(rotation of 90 degrees) or to have a rise of 36mm.The R170 This binding is perfect for your races, ski tours and deep snow. Easy-to-use and ultra performant the locking lever was specifically studied for good control.With 170grams per foot and lateral and frontal release of 8 you will ski light and safe. The R170 toe piece is also equipped with the ‘TOO FACILE’ technology allowing quick step-in and proximity of the toe pins. Also compatible with numerous accessories such as: crampon slots, PLUM crampons, wider plates, titanium forks .. Bindings conform to ISMF standards. Guaranteed 3 years. 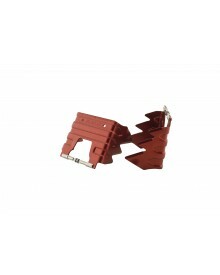 Crampons slot Plum removable crampons slot included. Material Aluminum 7075 shaped out of one single piece, steel forks. Simplicty, reliability and versatile, the Race 170 has 20mm of travel to optimize your setting.